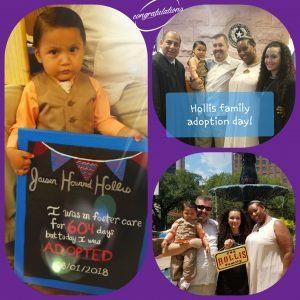 Congratulations to the Hollis Family who have waited 604 days to make official what was already in their hearts all along! Jaisen Howard Hollis this is your day! May your future be as bright as the light that exudes from your smiles! Thank you for the pleasure of getting to know your family and for being such wonderful advocates for your son.